The structure indicated is the vertebral foramen. The spinal cord passes through the vertebral foramina of the vertebrae: the collective vertebral foramina are referred to as the vertebral canal, or spinal canal. 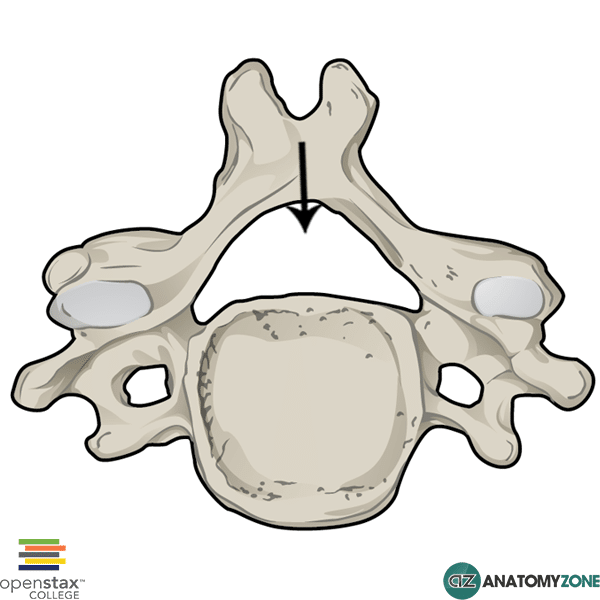 The anterior part of the vertebral foramen is formed from the posterior aspect of the vertebral body. The lateral and posterior parts of the foramen are formed by the vertebral (neural) arch, the pedicles and lamina respectively.